An icon representing a specific niche in country music and a legend among her peers, Lois Johnson was born and raised in rural Union County, Tennessee. The daughter of schoolteachers and farmers, Lois and her cousin Lowell helped the family raise tobacco and other crops. 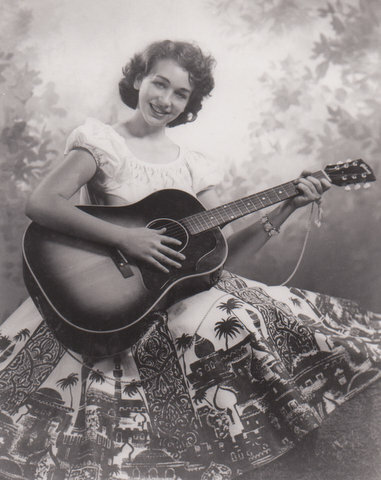 She began her professional career in music at the age of 10 on local radio and television, notably, the Cas Walker Show, the Midday Merry-Go-Round and the WNOX Tennessee Barn Dance, all popular programs in East Tennessee and surrounding areas at that time. 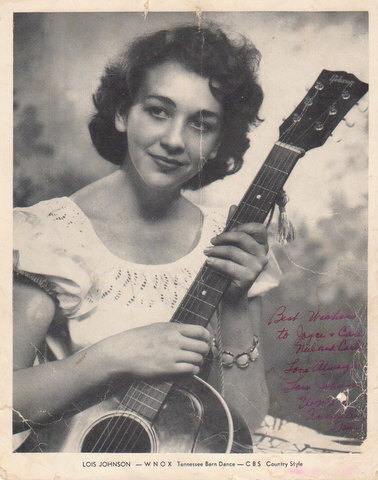 Upon moving to Wheeling, West Virginia, she became a member of the Wheeling Jamboree for three years as a ‘Sunny Mountain boy’ with bluegrass master Jimmy Martin. She then joined the Abby Neal Show in Las Vegas for a six-month tour of the Far East where she entertained United States Armed Forces and experienced a forced water landing aboard an aircraft carrier bound for Korea.To this day, she doesn't enjoy flying! Lois was briefly married to singer-songwriter Kirk Hansard during this time. Diagnosed with thyroid cancer at age 21, she wasn’t expected to live and was told that if she survived, she would never sing again.Thanks to God, a knowledgeable, skillful medical team at Vanderbilt Hospital and her own indomitable spirit, she survived and was able to continue her career path in music. Another entertainer with East Tennessee roots, Archie Campbell, helped Lois find her way to Nashville, where she signed with Epic records and recorded several singles for producers Billy Sherrill, George Richey and Jim Vienneau. The first song she ever recorded, called ‘You Really Know How to Hurt a Girl, Don’t You?’ was written by one of her contemporaries, Dolly Parton. She also signed with Atlas Artists Booking Agency and became a member of the televised Ernest Tubb Show along with Jack Greene, Willie Nelson and others. Later she signed with Buddy Lee Attractions and around the same time met Joe Don Silvers, a talented writer, entertainer and producer who became her husband and manager. Her biggest break came with the recording of two albums with Hank Williams Jr., which resulted in a number 3 single for MGM; 'Send Me Some Lovin,’ and won Lois and Hank Jr. a nomination for CMA Country Duo of the Year. At 20th Century Records, Lois cut her first solo LP, an album which produced two top ten singles; 'Loving You Will Never Grow Old' and 'Come On In and Let Me Love You,' both written by her husband. This album, recorded in the late seventies, stayed on the charts for 18 weeks. She later hit the charts again with the single ‘Your Pretty Roses Came Too Late’ under the Polydor label. Other television appearances include the Porter Wagoner Show, That Nashville Music, The Mike Douglas Show, Nashville Now, New Country and more. Film Credits include Country Boy, Backwater, Country Music U.S.A. and To Chicago with Love. Lois plays the piano, guitar, bass and other instruments and has won many accolades and awards, including several for her vocal arranging talent; one for George Jones ‘A Good Year for the Roses,' and another for Mel Tillis’ 'Heart Healer.' She has toured the United States as well as Europe, Canada and Iceland and has been a featured performer on the Grand Ole Opry. 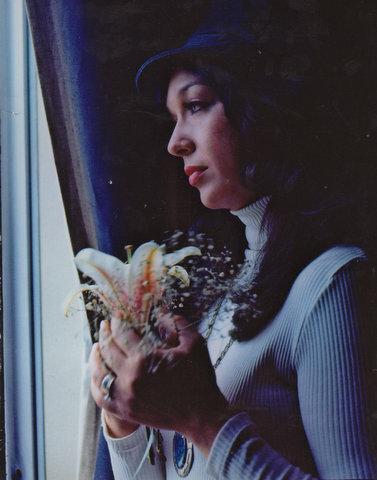 In its 1975 year-end issue, Cash Box magazine listed Lois Johnson as the #6 Country Singles Female Solo Artist, based primarily on the performance of her record 'Loving You Will Never Grow Old' from 20th Century. Her competition included such greats as Tammy Wynette, Linda Ronstadt and Tanya Tucker. The year before, in the 1974 year-end issue, Cash Box listed Lois as #6 among New Country Singles Female Solo Artists, based on the top-25 performance of her first solo single 'Come On In And Let Me Love You' also from 20th Century. Music was a way of life as well as a long-standing career for Lois over the years, but touring is demanding in every way. On the road far more than at home, Lois and her husband finally began to slow down in the late 1980's. Eventually, the pressures of the business as well as health problems led them to establish a non-music related business in Durham, NC and settle down.They began performing only periodically for benefits in the area and hosting the Midnight Jamboree in Nashville occasionally. During this time, Lois co-produced an album featuring Joe Don, Billy Thundercloud and Jim Vest, recorded another solo album called ‘Loveshine’ for EMH Records in Nashville and settled into domestic life. In 1993, Lois once again moved back to Nashville to devote her time and talents to writing songs, the development of a publishing company and session work with the Callaway Sisters, well-known in the industry for their background vocals on many projects. She also completed an original CD project called 'Dreamcatcher' with Producer Richard Carfora in 1995. In 2007, Lois retired to Sevier County, TN, but life-threatening, chronic medical problems led her back to Nashville once again in the fall of 2010. In spite of ongoing health issues, she still has loyal fans- people who have become her friends over the years. She also has a small, dedicated following of younger people who enjoy the sound of older country music and appreciate authenticity. Long before Gretchen Wilson came along, Lois was the original 'Redneck woman,' singing country music from the heart – and sometimes with an attitude! Today, there is a museum in Maynardville, Tennessee that pays tribute to the roots of the area; it’s history, accomplishments and heroes. Among others, it honors those who made significant contributions to the country music industry and call Union County home. This includes Chet Atkins, Roy Acuff, Carl Smith, Kenny Chesney and…. Lois Johnson. She is in good company. Lois Johnson-Scoggins passed away quietly July 7, 2014 at Vanderbilt Hospital in Nashville, Tennessee after a long illness. A Memorial Service was held Wednesday, July 16th at the Ernest Tubb Texas Troubadour Theater in Nashville, TN where she had performed on the Midnight Jamboree many times. Another Memorial Service for Lois was held Saturday, July 19th at the Rutherford Memorial United Methodist Church in Corryton, TN with the interment immediately following at Ousley Cemetery in Union County, TN. Lois was born in Union County, TN and was preceded in death by her mother; Iretta Butcher-Johnson, her father; Fred and an infant brother; Richard.